A global conference in Brazil on the future of the Internet in the wake of US spying revelations might be much less anti-American than first thought, after Washington said it was willing to loosen its control. Bowing to the demands of Brazil and other nations following revelations last year of its massive electronic surveillance of Internet users, the United States has agreed to relinquish oversight of the Internet Corporation for Assigned of Names and Numbers (ICANN), a non-profit group based in California that assigns Internet domain names or addresses. “The focus has changed from a political reaction to the NSA allegations, to one of more constructive criticism and talk about the future of the Internet,” said William Beer, a cyber security expert based in Sao Paulo. The two-day Net Mundial conference in Sao Paulo, which will be opened today (23 April) by Brazilian President Dilma Rousseff, will discuss cyber security and how to safeguard privacy and freedom of expression on the Internet, as well as the shape of a future international body to oversee the decentralized digital network. Officials from dozens of countries – from China and Cuba to the United States and European nations – will attend, but organizers say they will have no more voice at the event than Internet companies, academics, technical experts and groups representing Internet users. “All of them should have equal participation in this multi-stakeholder process,” said Virgilio Almeida, Brazil’s secretary for IT policy, who will chair the conference. The event is not expected to result in any binding policy decisions, but Almeida said it will launch a high-profile debate that will “sow the seeds” for future reforms of the way the Internet is governed. Rousseff was infuriated by revelations last year that America’s National Security Agency snooped on her personal emails and telephone calls. Other world leaders, including Germany’s Angela Merkel, were also targeted by the NSA surveillance. The revelations by former NSA analyst Edward Snowden brought worldwide calls for the United States to reduce its control of the Internet, created 50 years ago to link the computers of American universities to the US defense industry. Last month, the US government surprised many by announcing it would relinquish oversight of the Internet Corporation for Assigned of Names and Numbers (ICANN), a non-profit group based in California that assigns the network’s domain names or addresses. Washington said it will hand off control of ICANN by September 2015 to an international body to be decided upon over the next year, with one important caveat – the new organization cannot be controlled by any other government. 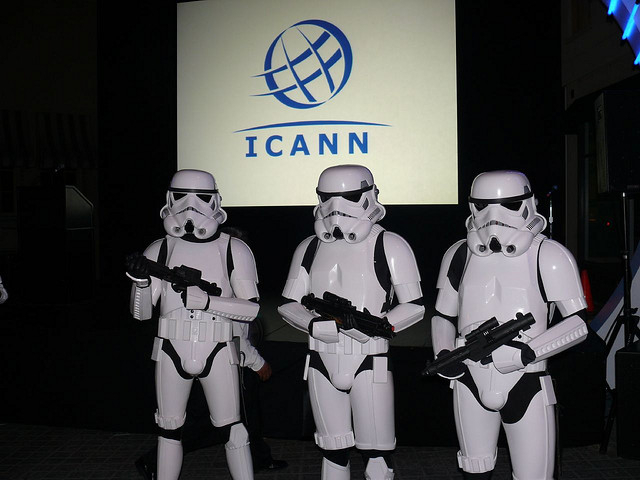 The debate over who will run ICANN is likely to create a new focus of tension with countries that want the Internet under the control of a multilateral body, such as the United Nations. As its contribution to the debate this week, China submitted a proposal with Russia, Tajikistan and Uzbekistan for a code of conduct for the Internet to be drawn up at the United Nations. The proposal, coming from states criticized for censoring Internet content, is unlikely to win broad support at this week’s conference. “Most participants here want a multi-stakeholder model for the Internet,” Almeida told Reuters. Governments, industry and rights campaigners are engaged in a global battle to shape the Internet as formal and informal policies emerge to assert control over an increasingly powerful media. At the heart of the battle is a concept known as 'net neutrality'. Net neutrality has only recently become a choice phrase in EU policy but Internet governance hit the EU radar in 2005 when the UN began to address the issue [read more].